Reception is 7F. 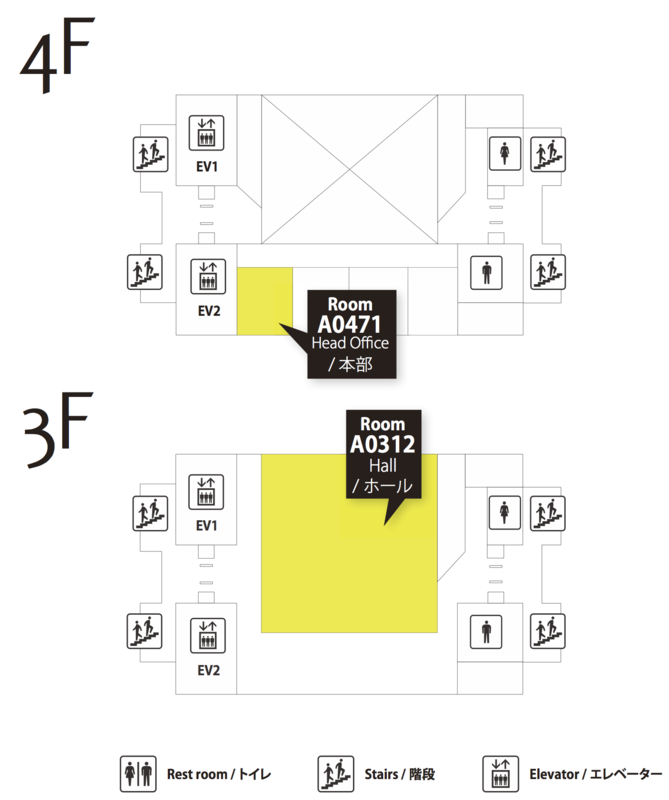 However, the time period of the keynote is 3F. For those who registered via bank deposit, please bring the bank deposit receipt. Please refere to Conference After Party. Conference registration is held on the 3rd floor. Please see the venue map for more info. 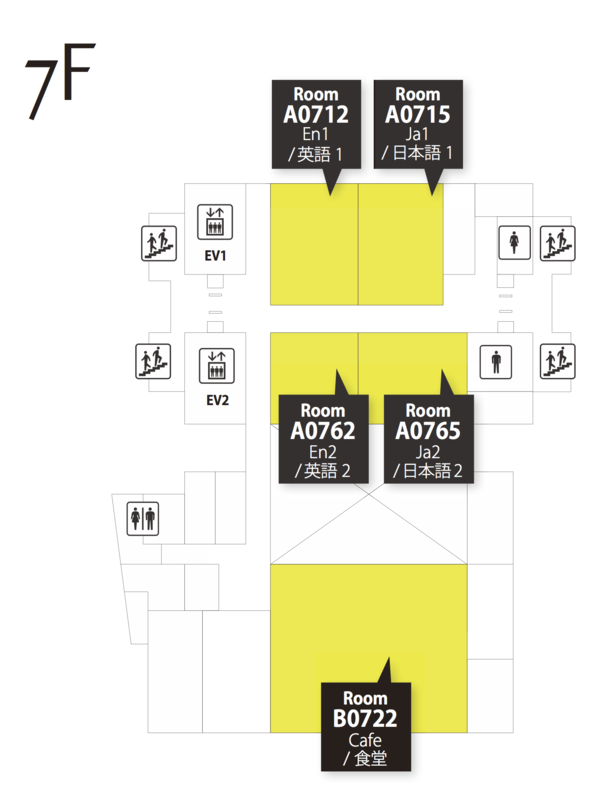 We are expecting the venue to be crowded at registration time. Please use the stairs rather than the elevator. Attendees who registered on connpass should bring a print out of their ticket, or show the ticket at registration using their smartphone. Invited attendees and those who did not purchase tickets should bring the previously requested information. Please understand, that attendees who have forgotten their ticket or registration information may not be able to enter the event. All attendees must pre-register. There will not be tickets sold at the conference. As we do not accept cancellation, there is no waitlist. Please wear your given name tag at all times during the conference. We may ask those without a name tag to leave the conference area. There is no limit on late registration. You may register at any time. Please take your name tag with you when you leave. Please take some time to fill out the conference survey on the web before you leave. Staff will be taking photos of the conference. We will be taking photos and recording live video during the conference for historic and promotional purposes. Some photos may be used and published in a conference report via online news media. There are a limited number of power outlets (Some rooms have a very few). Please use the outlets sparingly and consider other attendees. Network Wireless internet will be available. We will post the time when lunch will be served. Please eat lunch during the alloted time. Lunch may not be able to serve the time after 14. Bringing food and drink into the conference is permitted. Garbage Garbage cans will be provided, but we ask that as much as possible that you take your trash with you when you leave. Live Video We will be streaming all talks live via YouTube Live. Program booklet will be distributed on the day. 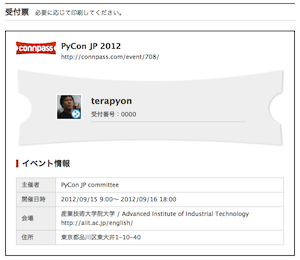 You can view the PyCon APAC 2012 program and other info in the conference Guidebook app. 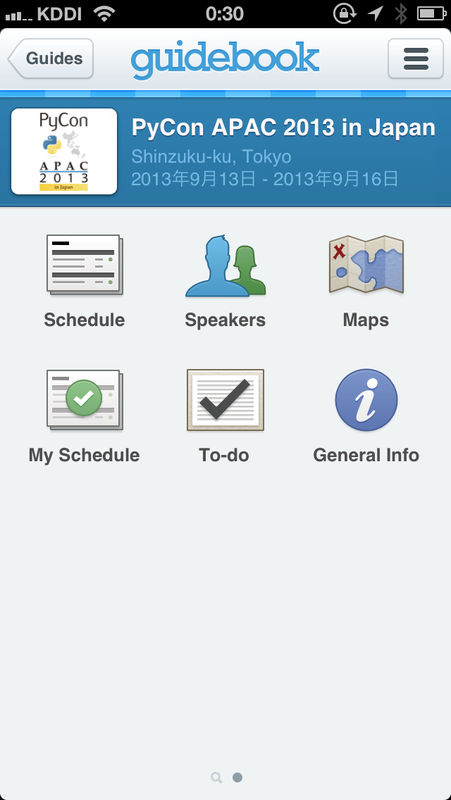 You can install the Guidebook app and download the PyCon APAC guide for free. You can view the directions the venue and venue map. You can view the conference program, program detail, and you can view program by track or room from program detail. You can bookmark talks you would like to attend and create your own conference schedule. You can create a TODO list of items you would like to do while you are at the conference. 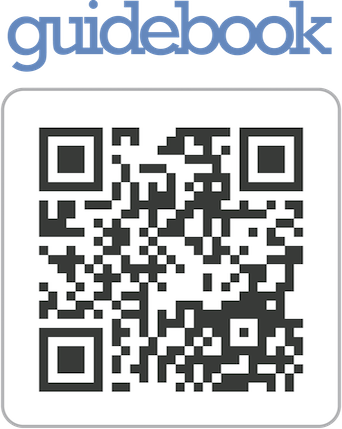 You can download the guidebook via the link in the banner above or via the QR code below.